When I first heard about these candle ointments I wasn’t exactly sure what they were. I never heard of candle ointments before. I was able to try them out myself and see what they were all about and now I’m hooked. These little candles come in small glass containers and they have a different scent for different ailments. I was sent one of each for stress and headaches, coughs and colds, aches and pains and third eye cleanse/meditation. I love them all but I think my favorite is the stress and headaches. The scent is so relaxing. 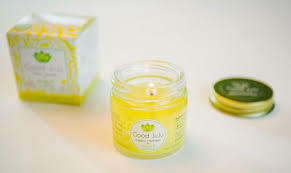 What you do is light the candles and let the wax pool in the container, blow out the candle and let sit for a minute to cool, then put the wax in your hands and rub into your skin. The stress and headaches can be rubbed into your temples, forehead and neck. These candles are not like any other cancel you buy at the store. 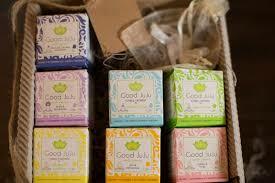 These are made with pure organic therapeutic grade essential oils and the wax is coconut oil and beeswax. There is no synthetic fragrances or preservatives.